Who is Noble Travel and Tours? 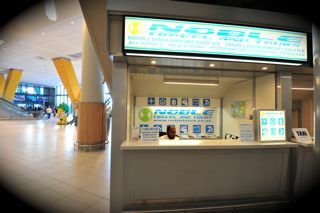 Noble Travel and Tours was established in 1998. With steady growth over the past ten years from a fledgling company operating one vehicle to its present position as a small yet competitive industry operator, Noble Travel and Tours has earned a reputation for satisfying the needs of the budget traveler with an appreciation of historical heritage, natural beauty, ecotourism and human values. Noble Tours and Transfers maintains a strong focus on sustainable tourism, and a commitment to constant forward movement in terms of service, quality and value for money. Motivated by an aspiration for development of the disenfranchised communities of Cape Town, we fully support the government’s policy on black economic empowerment and present a fine example of entrepreneurship and employment equity.